The 2012 ACSR conference was held in Monterey, California, USA. Abstract: Last year, we gave a presentation on both the Perspective Grid Photogrammetry and Rhino Photogrammetry techniques. A new technique called 3-Point Photogrammetry combines the best of these two techniques, making the application and set-up simpler without compromising accuracy. Scenes less than 30 feet in size (the majority of crime scenes)can quickly be measured without tape measures. 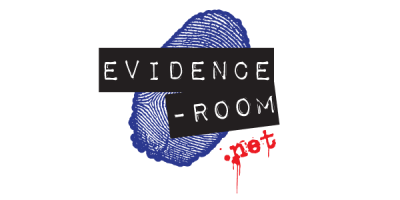 Capture a few well-chosen photographs, then grab the evidence and go. This technique is perfect in war zones or when bad weather threatens outdoor evidence. It is also perfect whenever there are critical time constraints limiting the time that can be spent at the scene. Abstract: The concept of crime scene staging is not a new phenomenon and was recognized as a possible scenario in a well- documented case as early as 1880. This presentation highlighted some of the physical evidence and testimony that suggested to investigators and medical staff at that time that the crime scene in this case was not what it initially appeared to be. Abstract: The shape of a bullet hole (which can range from a circular hole for perpendicular shots to varying elliptical shapes for bullet holes produced as a result of being fired at the target from an angle for non-tumbling bullets) can be utilized to determine the angle of impact of the bullet into virtually flat surfaces such as walls, wood, and vehicle sheet metal commonly found at a crime scenes. This is by virtue of the fact that the circular cross-section of a cylindrical projectile such as the nose of a bullet approximates the spherical shape of a drop in flight as it impacts a surface. As such, the approximate angle of impact from bullet holes commonly observed in crime scenes can oftentimes be determined by utilizing the same trigonometric relationship between the major and minor axis of the observed bullet hole as originally concluded by Balthazard for use in determining the angle of impact of a blood droplet. 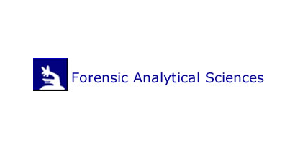 Abstract: One of the key features of the third edition of Bevel and Gardner’s “Bloodstain Pattern Analysis with an Introduction to Crime Scene Reconstruction” was a Bloodstain Classification Taxonomy. This taxonomy uses a “decision map” based the physical characteristics of bloodstains and bloodstain patterns to identify them as opposed to the traditional approach grounded in mechanisms. This taxonomy has been a work in progress and it has been revised in the past few months. The workshop began with a presentation of the decision map with the revised taxonomy. The participants then be divided into small groups and each group used the decision map to identify the patterns on the target surfaces posted. Abstract: Demonstrative aides (moving diagrams/illustrative art) in jury trials are, by their very nature, a method to help juries understand what occurred during an event, be it criminal or civil. Sometimes the event involves multiple parties or actions and necessitates more of an explanation of the fact s beyond what photographs, physical evidence, charts, or graphs can do. Development of animation and illustrations help the expert witness better explain the case to the triers of fact. This presentation showed how to go about reconstruction of several officer-involved shootings and a homicide. Because of the complexity of the events, moving diagrams (animation) of each scene were digitally created representing what actually occurred. The recreation is based upon facts from reports, photos, and detailed documentation from each scene. The accuracy of the animation is important to withstand the scrutiny of opposition motions to suppress. Abstract: We all know our crime scene tasks: detect & document, collect & preserve, interpret & report. Each step obviously is based on the one before it, but the bottom line is that until the evidence is located and documented, nothing else can happen. This presentation will demonstrate the advantages of the 3D laser scanner with coaxial camera to simultaneously document a crime or accident scene both visually and spatially. In other words, a couple one-minute scans will provide a 3D photographic representation of a room or a crash vehicle/vessel that allows you to measure all of the items of interest and the distances among them. Also important is the reliability of the instrument. Can the courts rely on the results? A comparison of the accuracy of the laser scanner against traditional techniques for documenting a scene was presented. One thing that has not changed in 50 years is the concern about cost, so a cost analysis was presented on the range of techniques as well. Abstract: Fundamental concepts of 3-D laser scanning including different types of scanners, field deployment considerations, what is needed to work with the data, and an examination of the various output options from scan data will be combined with a field exercise that provided the student with a basic understanding of the technology. Abstract: A search warrant executed in a small northern Nevada town resulted in one death, four injured, and multiple arrests. After the FBI arrived and the FBI bomb squad cleared the residence, the Reno Crime Laboratory processed the scene and the adult male resident was charged with two counts of attempted murder on two of the police officers present. Of the six officers and three residents at the scene, only the chief and the adult male fired guns. The chief’s gun discharged 13 times and the resident’s 3 times. Additional evidence collected by the defense team was utilized for a reconstruction of the events, a ranking of the players, and the identification of the locations and actions of each player during the various segments of the event. Presentation in court resulted in an immediate dismissal of one of the attempted murder counts and a not guilty verdict from the jury. Abstract: When law enforcement responds to a reported death, they immediately focus on the crime scene, visible evidence, the available witnesses, and developing their theory about what occurred. 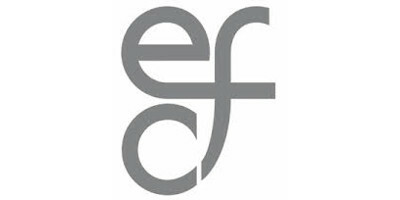 While a complete investigation does not depend on a single characteristic or lone investigative technique, there are certain characteristics and evidence the investigator expects to find at a death scene. 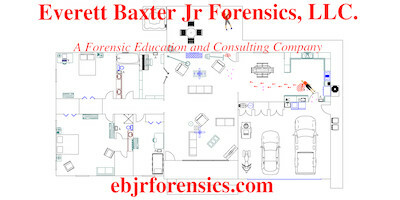 Occasionally, the investigator becomes involved in a case where the basics of a death scene investigation are not present. When the body is missing, this becomes one of those cases. 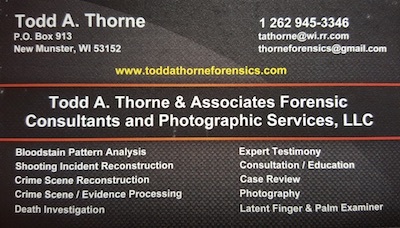 Investigators can ill afford to ignore or neglect investigative procedures, available evidence, or information from witnesses when conducting a nobody death investigation. Although not impossible to resolve, crime scenes missing the key elements of a typical death investigation take time to conclude. The investigator must use their experience and tenacity, and make use of those experts who can assist in putting to puzzle together. Craig T. Fries, Precision Simulations, Inc.
Abstract: Craig’s presentation highlighted how he recently used 3D laser scanning, 3D modelling, and cutting-edge audio analysis techniques to help the Yolo County District Attorney procure a guilty verdict with special circumstances for Marco Topete for murdering Deputy Tony Diaz in 2008. 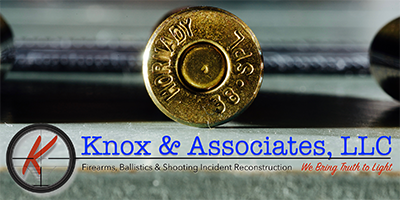 Abstract: This half-day course examined features associated with terminal ballistics by generating test gunshots into a tissue simulant, like gelatin. Considerations such as comparing full metal jacket versus hollow point performance, intermediate object influence, and specialty ammunition characteristics were discussed and demonstrated. This course involved both classroom lecture and practical live fire at the range off site from the hotel. Abstract: From the crime scene through courtroom testimony, this presentation was about a bloodstain pattern reconstruction case I worked. During a severe beating, the angle of impact of the bloodstains on the concrete next to the victim’s body indicated her head (the sole blood source at the scene) was ~24 to 32 inches above the concrete when struck, prompting a torture charge by the Deputy District Attorney that led to a life imprisonment conviction of the perpetrator. Abstract: In July of 2006, a lakeside home located in Kirkland, Washington, was the site of a horrific quadruple homicide/arson. As members of the crime scene response team, we were asked to assess the scene to determine if there was any remaining physical evidence not destroyed by the fire and then to process the scene, and collect the evidence. It was discussed how the scene, which involved a multi-agency response, was processed and how the evidence was documented and recovered. The challenges of further evidence documentation and the analysis in the lab were shared. The experiments and experimentation required to be able to complete the bloodstain pattern analysis on structural items and clothing and the event analysis reconstruction were introduced. Some of the trial proceedings and evidence challenges were covered. A poster presentation was offered to show in more detail the results and conclusions from the experiments conducted. Abstract: This program was intended to help examiners in their role as expert witnesses. lawyers, and juries and discussed best practices for managing all three relationships. 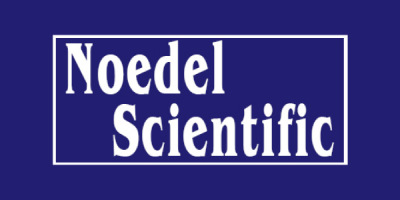 to ensure the reliability of scientific evidence. Abstract: In many police investigations of shootings the question arises whether a specific suspect had handled a particular weapon. In some cases the answer to that question can be instrumental in determining the direction of the entire investigation. The potential of the PDT field test has been reported. The test is based upon a chemical reaction between iron ions and the reagent, PDT. The result can be seen by the appearance of a violet-magenta stain, which in many cases has the shape of the metallic parts of the weapon. The types of incidents in which this test can be helpful are numerous and varied. The most common type of case is suspected suicide. In other shooting incidents in which a potential suspect disassociates himself from the scene of crime and contends, for example, that he did not hold the weapon, PDT can disprove his statement. In cases of murder suicide in which it is uncertain who is the victim and who committed suicide, a PDT test can help determine which of the two did not handle the weapon. This presentation illustrated a very interesting suicide-homicide casework of the Israel Police. Two dead bodies of a woman, famous model, and her boyfriend, a famous hairdresser, were found on the rug in the combined living room/dining area. PDT played an important role in determining the course of events in this interesting case.